"What should I do? I can't believe it. 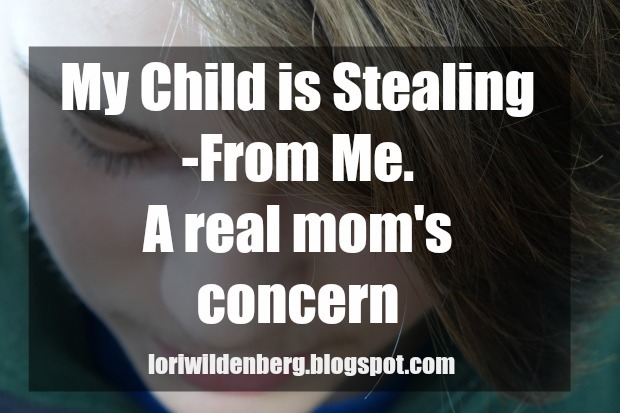 My child is stealing---from me!" Surprisingly, this outcry is not uncommon. Many parents face the heartache of having their child take money or other items from them. Hurt, disbelief, embarrassment, and indignation are all typical responses to the discovery of a family member stealing from another. So...why do kids steal from the family? And...what can be done about it? 1. He may not know it's wrong. Perhaps the child believes all the things in the home are up for grabs. For instance, what if a child takes a fresh tube of toothpaste from his parents' bathroom? Is that stealing or solving a problem? Stealing must be defined in each family. Some families have higher ownership rules than others. Clear guidelines need to be established regarding what is communal property and what is personal ownership. 2. She covets a sibling's toy or clothing. The "want" temptation is a big one. Establish "borrowing" guidelines. Draw clear family boundaries on possessions. Identify which items are community and which ones are personal. Discuss whether borrowing is okay in your home. If it is, when does the item need to be returned and in what condition must it be returned? Also help the child make a plan for purchasing her own item so she doesn't have to "borrow" her sister's stuff. 3. He has a substance abuse issue. Tweens and teens with addictions have one goal and one goal only. "How can I get my fix if I have no money?" These kids will steal to in order to feed the addiction. In the child's mind, it isn't really personal; stealing is just a means to an end. In this case, don't leave money around and get your child help as soon as possible. The stealing will continue as long as there is substance abuse. 4. She may steal as an act of rebellion. Getting away with stealing something of moms or dads may be the child's revenge for the parent saying no to something. Consequences must be put in place for rebellious stealing. The child will need to pay back the money. And maybe it is time for a conversation regarding how much control and say the child should have in her life. Trust must be earned back, then a little more freedom can be given. 5. He is overwhelmed with stress. Some kids respond to stress by cutting, others with an eating disorder, some over-exercise, others don't get out of bed,and some steal. If stealing is your child's answer to dealing with stress, seeing a counselor would be beneficial. Knowing the why is helpful in knowing how to respond. Don't ignore stealing. Figure out why it is happening then figure out how to respond. Don't bait your child or tempt him in order to catch him in the act. Do talk with him about it and why it is wrong. Do have him pay back what he owes in money or in time (household jobs). Do get help if it is an issue related to abuse, rebellion, or stress. Do pray honesty replaces envy and dishonesty. 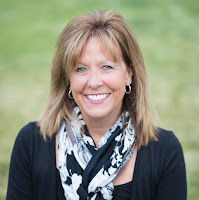 Lori is currently scheduling for the 2016-2017 school year contact her ASAP to set up a date for your upcoming event.